Chris was born and educated in the UK. 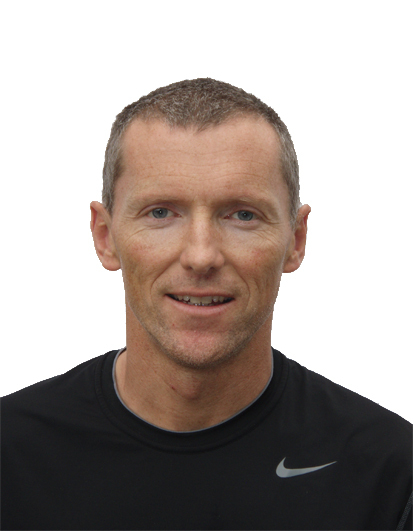 He has a BSc in Physical Education and Sports Science from Loughborough University. For many years he was one of Paul Chek's senior instructors. He has done all of Paul St Johns NMT program and is NMT Certified. Since 2010 he has been studying Guy Voyer's material and is currently part way through Guy's Soma Therapy and Soma Training programs. Chris has been an endurance athlete his whole life. He started out running 800m and 1500m and cross country then moved on to Olympic distance triathlons in 1986. He was on the British National Triathlon Squad from 1989-1992 and was 5th at the British Olympic Distance Championships in 1990. Since then he has done many triathlons in the UK, New Zealand and the US. He has done the long course Nice Triathlon twice and done two Ironmans back in the days when nobody even knew what an Ironman was. He has completed the gruelling Marathon des Sables in Morocco twice and has recently been doing 6 day mountain bike stage races. He has never come across a hilly bike race he did not like! Chris does a lot of manual therapy of various types including fascial techniques and joint mobilisations. He combines this with myofascial stretching, yoga, restoration of breathing mechanics and very specific strengthening exercises. He strongly believes that to get results you must customise your approach with each client. Posture, alignment, healthy fascia and nutrition are key principles that he applies in all cases. He frequently uses lab testing and tries to balance left brain science with right brain intuituion/creativity. If you are motivated to make real change and looking for direction then Chris's style will suit you very well.